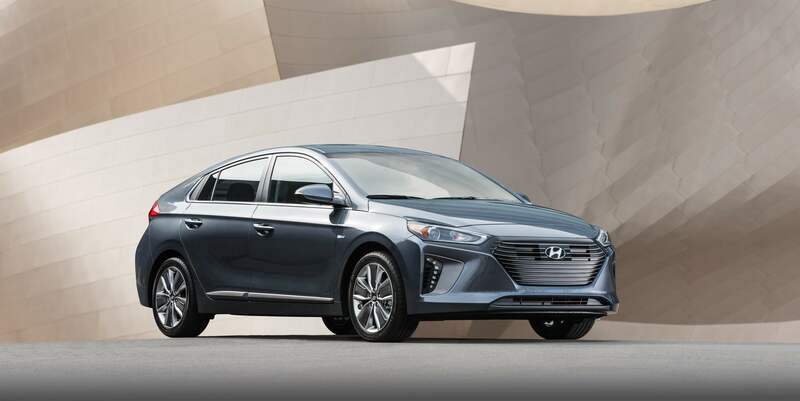 Driving the most fuel efficient vehicle in America doesn’t mean you have to compromise on its appearance as the 2017 Hyundai IONIQ received the 2017 Green Good Design Award™ from the Chicago Athenaeum: Museum of Architecture and Design and the European Centre for Architecture Art Design and Urban Studies. The Green Good Design Awards™ celebrate important examples of sustainable designs and provide awareness on what companies are designing and producing to make the most positive impact on the environment. For 2017, 100 designs were awarded Green Good Design Awards from 23 nations. IONIQ was recognized among the world’s most advanced products, designs and projects representing leading companies that have an emphasis on sustainability. The thoughtful and innovative work by Hyundai Motor’s design teams helped IONIQ become recognized as one of the best ecological and sustainable designs in transportation for 2017. Now in its eighth year, Green Good Design Award™ is a specialized edition of the original the Good Design™ program. IONIQ is the first eco vehicle in the world to offer three distinct electrified powertrains on a single, dedicated vehicle platform – the IONIQ Hybrid, Plug-in Hybrid and Electric models. Hyundai Motor’s IONIQ line-up calls upon two key factors, efficiency and technology, in its design, which combine to create both a unique and forward-looking appearance. Throughout the entire development phase, engineers and designers worked closely to ensure that form and function evolved simultaneously in a complementary fashion. Distinguished exterior design sets IONIQ apart from its competitors as advanced technologies are integrated with the overall design. IONIQ Hybrid is the most fuel-efficient vehicle and the IONIQ Electric is the most efficient electric vehicle in the U.S. market.